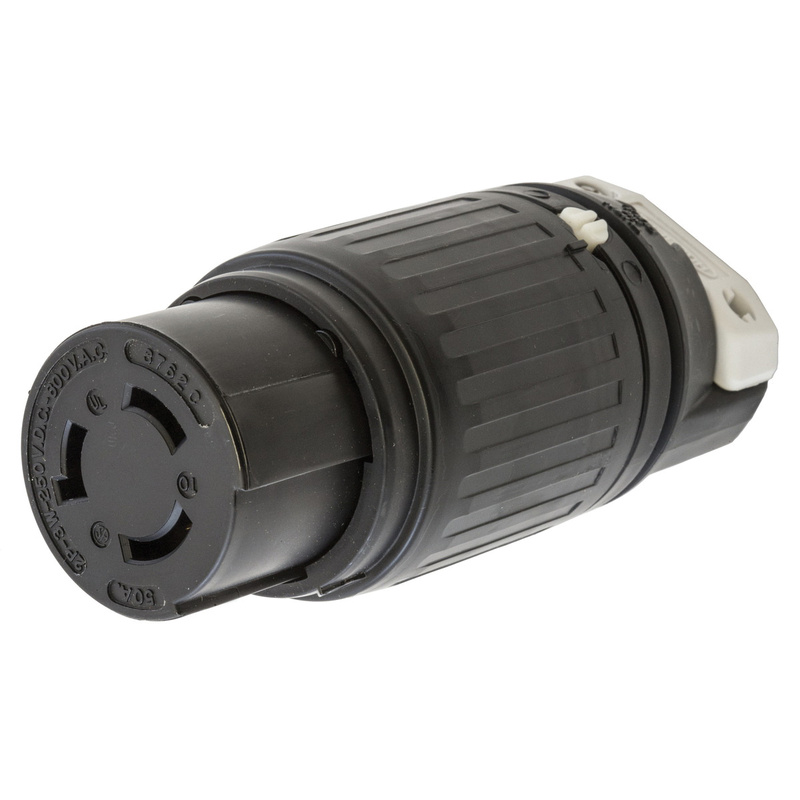 Hubbell-Wiring Insulgrip® Twist-Lock® 2-Pole industrial grade female connector body has a voltage rating of 600-Volts AC/250-Volts DC and current rating of 50-Amps. The box terminal with hex socket threaded slug, enables high clamping pressure on conductors without damaging strands. This polarized body has conductor size ranging from 8 to 4-AWG stranded. The 3-Wire connector body has nylon construction and contacts are brass constructed. Connector has heavy duty 2-piece external cord clamp that provides maximum strain relief. The thermoplastic polyester interior resists to heat and impact. The female connector body meets UL 498 and CSA standards.